At Robin Denim we value authenticity, craftsmanship, and durability. Sure, design and quality are key factors when it comes to liking a product, but the other three values make a product even more desirable and valuable. We are always on the look-out for brands, trying to assemble those essential characteristics. Today, our search for brands that fit the profile above will take us all the way to Santiago, Chile. More specifically, it will bring us to SITRANA’s workshop, a place where craftsmanship and human experience are very important. As a counter-movement against massification, SITRANA stays close to making products that have real value. 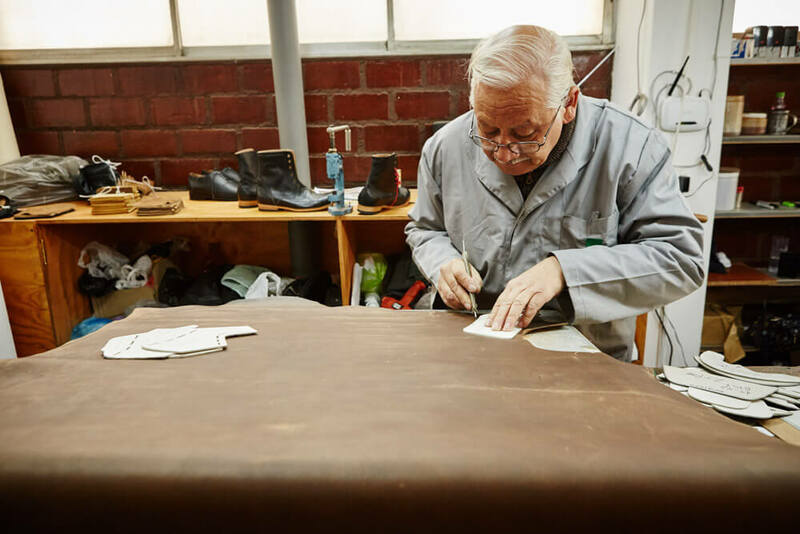 Together with a small team of passionate shoemakers, SITRANA is dedicated to creating cool, and even more important, authentic footwear that will last. We spoke with Jaime and Eric, founder and co-founder of SITRANA about their vision, inspiration, and ambition. Speaking with Jaime and Eric, we found out that these guys have the same knack for high-quality goods and authenticity as we have. Hopefully, you will enjoy our conversation, just like we did. After reading this interview, please make sure to visit their web store. Robin Denim: Could you start by shortly introducing yourself? Jaime: I’m 35 years old and from Santiago, Chile. I founded SITRANA about nine years ago and today work solely on the brand and its growth. Eric: I’m 34 years old, originally from Ohio, the USA, I’ve lived in Chile since 2010 and I joined Jaime in 2011 to grow the brand. I manage local SITRANA stores and international sales and partnerships. Robin Denim: What drove you to start SITRANA in the first place? What were the original dreams? 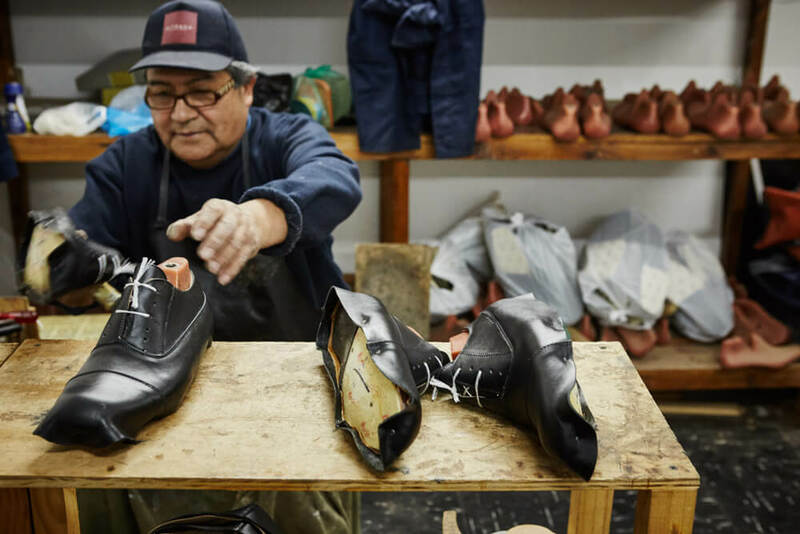 Jaime: I still can’t find among my memories the exact reason why I started making shoes, it was something that I started without any commercial aspirations. At the time I simply wanted to design and build shoes for myself. Things began small and little by little the customers who found our shoes began to grow the brand; it has been this demand that has made SITRANA what it is today. Eric: For me, it was the belief that SITRANA shoes were unique and of high quality, that the SITRANA brand had a story to tell from this corner of the globe, and that there were customers around the world who would enjoy the product. Robin Denim: What sets SITRANA aside compared to other brands? Jaime: SITRANA innovates from the experience of the shoemaking traditions and the shoemakers themselves. We don’t plan to industrialize production, and this helps us maintain the quality and character of our products. Eric: SITRANA is not only about the end product but is also about the way that our products are made — everything built in-house, from the highest-quality local materials and with local artisan shoemaking skills. Robin Denim: What does the shoe market in Chile look like? Is it different compared to the USA? 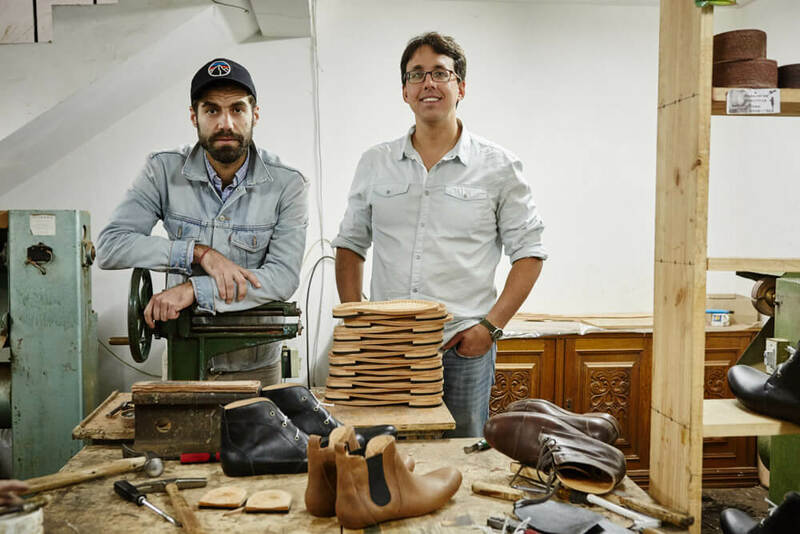 Jaime: In Chile there is less competition, and the market is fairly new for using traditional leather footwear like ours for casual use. In the US the daily use of leather footwear is much more common, and competition is incredibly high. There are shoes from large brands and of great quality. Also there is a lot of mass footwear production so you must be able to compete on price. Eric: Definitely size, sophistication and competition are very different — here the market is smaller though there is also much less competition and also a less-demanding culture of fashion. In Chile, we can focus on quality and simplicity and do quite well in the market. Robin Denim: How does Chilean culture influence your product? Jaime: More than just the Chilean culture, rural Chilean life has a strong influence. SITRANA shoes and boots are inspired by rural living and yet are predominantly used in the city. Eric: There are a lot of subtle cultural influencers, our products are a bit of an in-between point between European fineness (i.e., Italian formal footwear) and American strength and durability (i.e., American workwear) which is probably a result of influences from both regions. Our traditional line of boots is a bit of an in-between point between a dress shoe and a workboot — finely-stitched and lighter weight while also being rustic and hard-wearing. Robin Denim: Where does the inspiration for a new pair of shoes originate? Jaime: The inspiration comes from work previously done on other models, you never stop learning and trying new things. There are always new techniques and materials to use on new styles and designs. Eric: Jaime is quite independent and guarded about how he designs new footwear lines. I’ve learned through the years to drop small hints about unique ideas that match our brand and the demands of the market and have seen time and time again that the results are well executed and come from a unique point of view. Robin Denim: Can you describe the process from starting with an idea to ending with a pair of shoes that hits the stores? 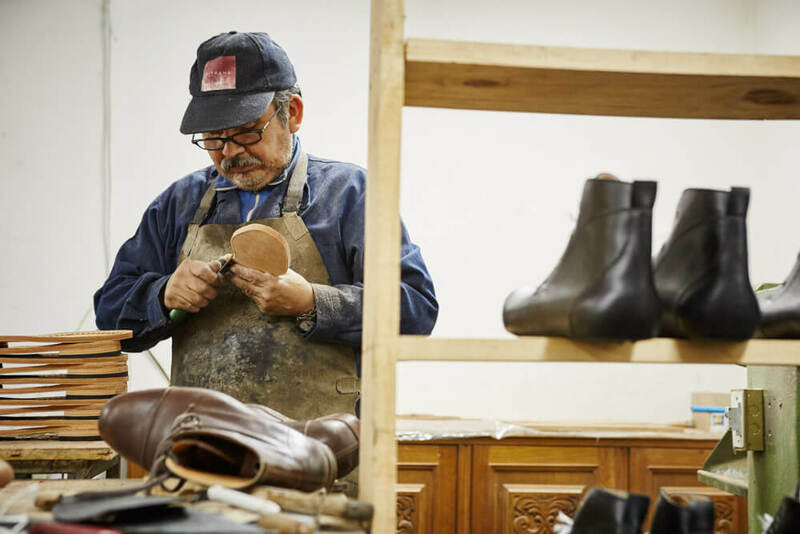 Jaime: The steps include the inspiration for a new project, developing the model on the last, sourcing new materials if necessary, buying leather, cutting leather, sewing, building the upper on the last, building the sole material, sewing the sole, and then final cleaning and boxing for sale. Eric: Although I do play a role in the design process, Jaime is the force behind new designs. Many of them come from old shoes found in closets and abandoned places — products made from noble materials and that have unique histories. We build basic prototypes to follow the imagined design then test them out ourselves before we launch a new product to market. Robin Denim: What types of leathers do you use? And why? Jaime: We use 100% Chilean cowhide leathers, as this is a noble material and has high durability, comfort, and ages well. Eric: We buy cowhide from local tanneries in small batches to fit our production schedule, for this reason, our leathers will have slight variations at different times of the year. Our shoes are lined with a lightweight, soft cowhide that is called “flower cowhide” (“cuero flor“) which has the handfeel of the petals of a flower. Robin Denim: What is the bestselling model at the moment? Why do you think it is? Jaime: One of the most popular styles is the Lacho shoe, I think mainly because this is a very simple style and easy to combine with different clothing and for different purposes. The red laces give a unique look but are also something that can be changed for different occasions. Eric: The Lacho does well, and also the Alpi does very well internationally. I think because it’s not quite a traditional boot and not quite a sneaker. As our boots are lighter weight than traditional leather boot they do well for everyday wear, almost as would a sneaker for casual use. Robin Denim: What are typical SITRANA signatures that can be found in your shoes? Eric: Finely-stitched upper and stitched soles, traditional construction, rustic character. Robin Denim: What can we expect from SITRANA in the future? 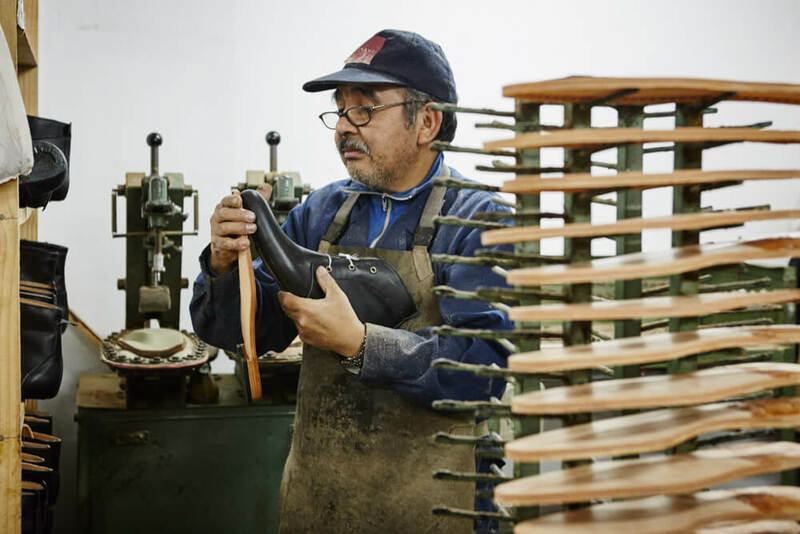 Jaime: We want to continue growing without leaving behind our way of making shoes, to grow to sell in more countries with new lines of footwear based on “handmade” manufacturing. 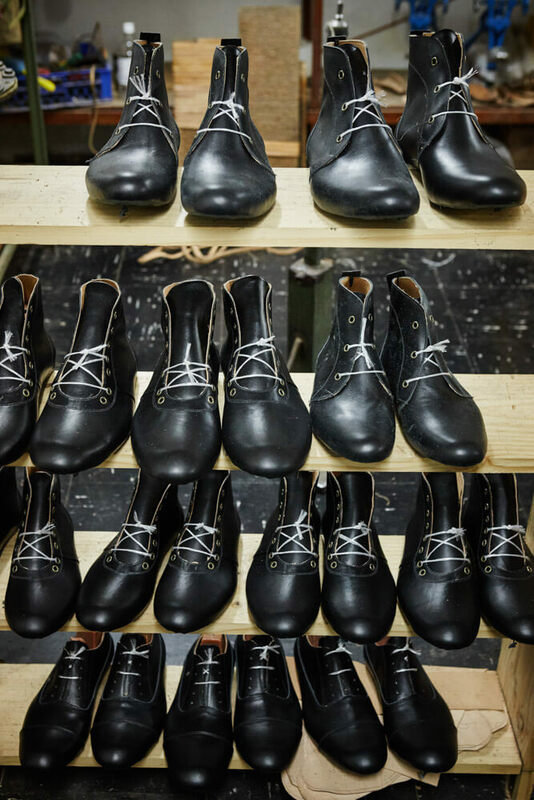 Eric: To continue to expand as a shoemaking workshop and as a brand, to grow wholesale relationships with international retailers, to launch new product lines beyond our traditional men’s line.